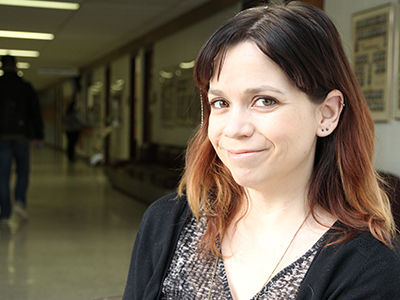 A student who had been studying at the U of S for a number of years was one class away from finishing her degree. Once she passed, she could head back to her home in China to see her son for the first time in five years. That last class was English 111 and the instructor was Liv Marken. "This student made it through almost her entire degree without having to do much intensive writing," said Marken, who in addition to being a sessional lecturer is the co-ordinator of the Writing Help Centre. "She didn't have the writing skills to pass an English class." Marken was not going to be the teacher who prevented the woman from getting back home to her family, so she worked tirelessly to ensure the student left the U of S with a degree in hand. Encountering students with sub-par writing skills is not a rare case for Marken, nor for countless other instructors on campus. On a daily basis, teachers see writing issues ranging from poor grammar and an inability to construct or support an argument, to a lack of understanding around academic integrity. "These are typical issues in a typical group of students," said Marken, adding that there are three student groups for which writing problems are especially acute—international students, first-year students directly out of high school and students with learning disabilities. Marken pointed to an increasingly diverse student body with more international students who require more training in English as a Subsequent Language (ESL). International students, Marken said, are "highly teachable and they really want help, but most profs don't have the time for one-on-one instruction." So they enroll in ESL courses at their own expense. Unfortunately, Marken explained, this is not always proving to be a good solution because the scores on English proficiency requirements tests at the U of S are relatively low compared to other Canadian universities. In talking about the second group of students, those right out of high school, Marken used her 17-year-old self as an example. "This student is coming to university after getting As in high school. She gets her first paper back and the bubble bursts. I was one of those students. I got a 67 on my first English paper and my dad was the head of the English department," she said with a laugh. The student in this case either blames the prof for being "picky", blames his or her own poor writing skills, or accepts feedback. "They either have a fixed mindset that they can't improve their writing or a growth mindset that they can develop that skill," continued Marken, who, as a lead instructor of a course on transitioning from high school to university, sees members of this group often. The final group Marken highlighted consists of students with undiagnosed learning disabilities, including ADD, ADHD and dyslexia. "These numbers on campus are higher than we realize. A student could be doing well and then just hit the wall. These disabilities affect reading, writing and understanding instruction. I know of late-diagnosed students in vet med, dentistry, and medicine who've done well as undergrads and then hit the wall in those colleges." All of this adds up to a great deal of frustration. "Most people are frustrated; profs, support programs, students. I'm frustrated too," she said, adding that the contempt she hears for high school teachers is misplaced. "They have more training to teach than university instructors and they know techniques for feedback. There are many exceptional high school teachers teaching grammar, but it is not common and it is not necessarily part of curriculum." Patti McDougall, vice-provost of teaching and learning, agreed that blame should not be shifted to the K-12 system. "The broader issue is about preparedness," said McDougall. "It would be a mistake for us to presume that the K-12 curriculum and those teaching it are insufficient and not doing the job we need it to." McDougall explained that when provincial K-12 curriculum is revised, the Ministry of Education invites input and collaboration from the U of S, the University of Regina and Saskatchewan Polytechnic. "We need to look at ourselves and evaluate our own curriculum and if we see gaps repeatedly then we need to go to the school systems," said McDougall. "But we would have to go to school systems not just in Saskatche w a n , b u t w h e r e v e r students come from. There is no simple answer." From Marken's perspective, she sees the problem stemming from three specific issues at the U of S: an institutional culture that does not consistently stress that writing matters; writing instruction that focuses on the high-stakes end product rather than the process of writing; and a lack of writing across the curriculum throughout degree programs. The last one, Marken admitted, is not unique to the U of S. "Only a few Canadian post-secondary education institutions have comprehensive writing across the curriculum requirements compared to about 70 per cent of universities in the States." 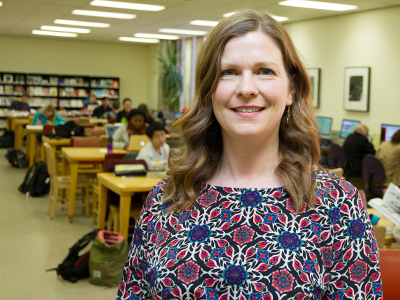 The vice-provost sees daily the effort of many on campus, including Marken and her colleagues in the Writing Help Centre, who are working to right the problem. There are also significant strides being made in a number of colleges—Agriculture and Bioresources, Engineering, Edwards School of Business and Arts and Science—that require students to take courses focused on communication and writing. 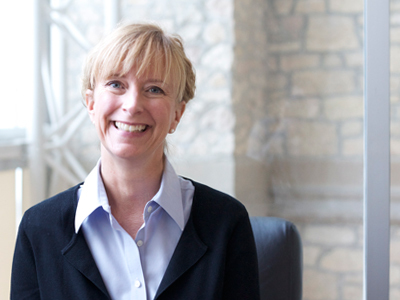 "Writing and literacy are core learning goals regardless of the program," said McDougall. "Everywhere you look you will find a learning goal that states that our students must become effective communicators and have demonstrated effective communication skills by the time they graduate. Everyone agrees on this being the final goal. What we need to determine is how to get them there." McDougall pointed to the College of Engineering as an example. "Engineering used to require three or six credits in English, but at some point they decided they needed more to get students to that goal." Since 2007, engineering students have been required to take RCM 300, a course on effective communication. The course, offered through the Ron and Jane Graham School of Professional Development, is also now required for students in the College of Agriculture and Bioresources. Students in the class learn everything from the technical demands of writing reports, memos and letters, to developing audience awareness, case analysis and oral and written presentation skills, explained Rebekah Bennetch, one of the instructors. "This is the most basic connection, teaching people to communicate with humans," said Bennetch. "Having clear grammar is effective communication; mistakes take away from that clarity and that's a waste of time." The centre came about through a donation from its namesake Ron, an engineer by trade and graduate of the college, and his wife Jane. "I really think Ron Graham saw a need for students coming out of the college to express ideas clearly and communicate with credibility," said Bennetch of the impetus behind the centre, adding its work is doubly important when considering accreditation. "Outcomes for students are a big part of the college's accreditation process and one of the outcomes they look at is ability to communicate with colleagues and the public." Addressing this, she continued, is a priority in engineering and making the course a requirement shows its commitment to student success. But what about the students? How do they feel about the class? "At first this course isn't the most popular and students are skeptical. I assure students that we aren't going to study Shakespeare and poetry. They used to call the class ‘Speak and Spell.'" But that attitude, Bennetch continued, quickly changes once students learn how to write a cover letter that results in calls from potential employers. "In a practical sense, we can show students that employers are looking for communication skills and will pay more for communication skills. "Potential employers expect a certain base level of grammatical skills and we've inherited students without the skills needed. The college has put a lot of resources towards correcting that, including small class sizes that allow profs to meet with students one-on-one." There is a growing demand for the class, Bennetch said, and that will be even more pronounced considering the college's goals for enrollment growth. "I worry that there won't be enough resources to help address the gap between actual skills and skills needed to succeed," she said. The matter of resources, said McDougall, specifically time, is something that every instructor, department and college on campus deals with. "This is about more than the technical aspect of writing, as in taking a grammar course. It's about learning how to write in the discipline. An English paper is certainly not the same as a lab report," the vice-provost said. "Beyond the technical part, every department and program determines how writing unfolds in their curriculum." Faculty members determine how to cover curriculum in a topic and if they spend more time on writing that means less time on content, explained McDougall. "They need to identify a balance (and) we try to identify that balance at every level—unit, department, college and university. In reality, no unit on campus holds writing as its primary responsibility; it's a shared responsibility." "We need to look at writing as something that needs to be learned just like biology, math or chemistry," added Marken. "Everyone has theories and thinks there is a Band-Aid solution, but no one learns to write by attending a workshop or two. "Writing needs to be embedded across curriculum so that students can learn to think clearly and engage with the subject matter. Students need to hear their professors emphasize the importance of good writing in their disciplines and even how those professors learned to become good writers themselves." The onus is also on students to seek feedback during the writing process and to practice the craft, Marken continued. "If you want to become a better writer, you have to read, and read broadly, and you have to write, write, write."